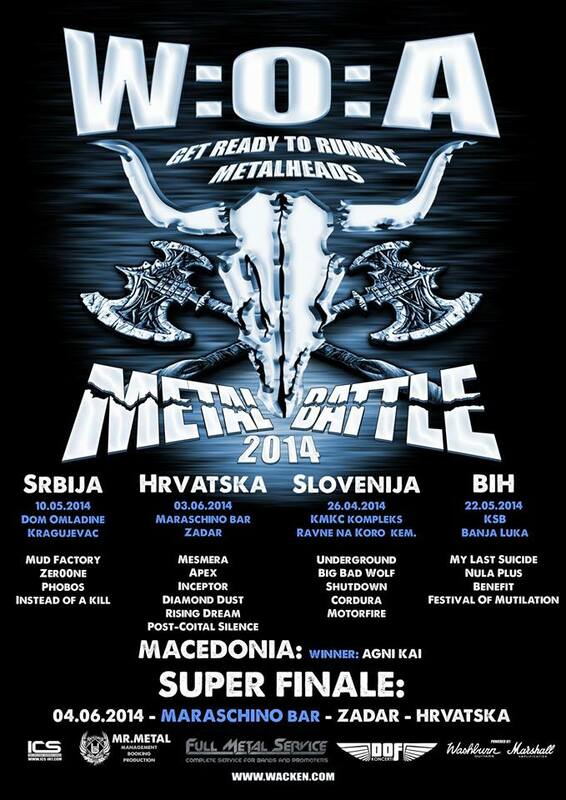 Very long metal weekend in Zadar: June – 3, 4, 5, 6, 7 and 8, starting with Wacken Metal Battle! We have finally managed to get great regional bands together for a nice WOA MB 2014 qualifications. We will have finals for all Souther Slavic republics in ZADAR, just before Underwall Festival, so please feel free to drop by and have some fun with us In any case, see ya on Wacken.